Football news out of Cleveland is seldom good, but rarely is it quite this tragic. Not only has QB Johnny Manziel found himself on the on the wrong side of the law yet again, but come March he’ll be cut from the team. His agent has dropped him, and he’s suddenly viewed as too toxic even for perpetual second-chance vending machine Jerry Jones. Sadly these are the least of his worries. Reports out today indicate Johnny has repeatedly refused his parents attempts to check him into rehab and that as his substance abuse and legal issues mount, he’s isolated, lost and alone. Even as his parents fear for his life— America collectively yawns. While the TMZs of the world document just how “off the rails” things have gotten for Manziel, snarky internet sites relish his failures, recount his missteps and celebrate his downfall. Because Johnny Football came from money, played with attitude and unapologetically went down a path of self-promotion and hype. To us he’s worse than a never was, he’s a coulda been. A spoiled rich kid with all the talent in the world content to throw it all away. And while much of that may be true, I think it is important to remember that he’s also a 23-year-old man with a chronic disease. How much of his behavior is symptomatic of his chemical dependency and what mental issues may be lying beneath, we may never know. But I think he deserves some slack, concern and empathy. Would we dismiss, mock and ridicule someone with any other life-threatening health condition? Of course we wouldn’t and therein lies the rub with chemical dependency. For far too many of us, it is viewed largely the same way as obesity. A lifestyle condition wrought by the overindulgent who just need to get it together and quit self-sabotaging. The Manziel situation reminds me a lot of Britney Spears. It wasn’t too long ago that anything you say about Manziel could similarly have been said about Spears. Young and successful with all of the resources in the world she too had everything going for her. Yet she too had issues with substance abuse, legal troubles and poor choices that negatively impacted her health, family and life. The same level of disdain and shaming accompanied her downfall as we are seeing with Manziel today. Only guess what? You haven’t heard anything bizarre from Britney lately. That’s because in 2008 a conservatorship was established placing her father and attorney in charge of her affairs. She got clean and got help. The conservatorship essentially declared her incompetent to manage her own life. It was an incredibly bold, time-intensive and difficult legal move, but one that ultimately saved her life. She’s now working, paying taxes, managing her condition and most importantly a mother to her children. Am I saying that Manziel needs a conservatorship or that his situation is exactly the same as Spears’? Absolutely not, but what I am saying is that there is hope and people need options, not shaming. Something clearly needs to change for Johnny Football or the next story we hear could be about his untimely death. What I am asking is that all of us to cut him a little slack along the way and recognize this for what it is– consequences manifesting from a chronic disease. He may seem arrogant and act entitled. Just remember, he’s also sick. Instead of becoming spectators who shake our heads and tsk-tsk the poor choices he’s made, we should instead become advocates for treatment and pray that our children never go down a similar path. The key difference was Britney seemed likable prior to her issues with substance abuse; it was her downward spiral when she was out of control. 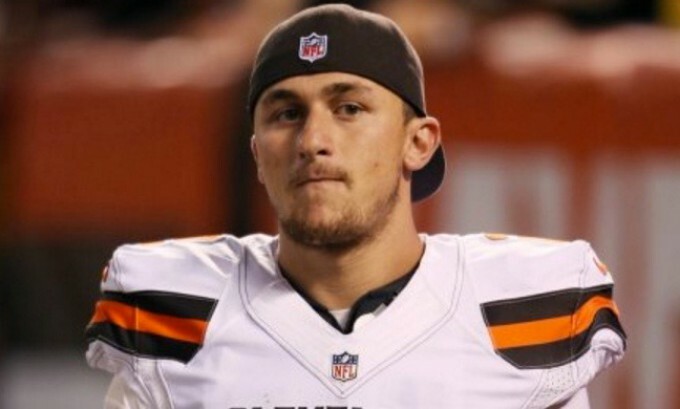 Without fully knowing when Johnny’s real problems started, he has largely been unlikable to anyone outside of College Station since he first burst on the scene. To me, it is remarkable, but Johnny somehow makes Cam Newton seem both modest and understated.